Upper Franconia comprises three ‘F’ landscapes: the Franconian Forest, the Fichtel Mountains and Franconian Switzerland. 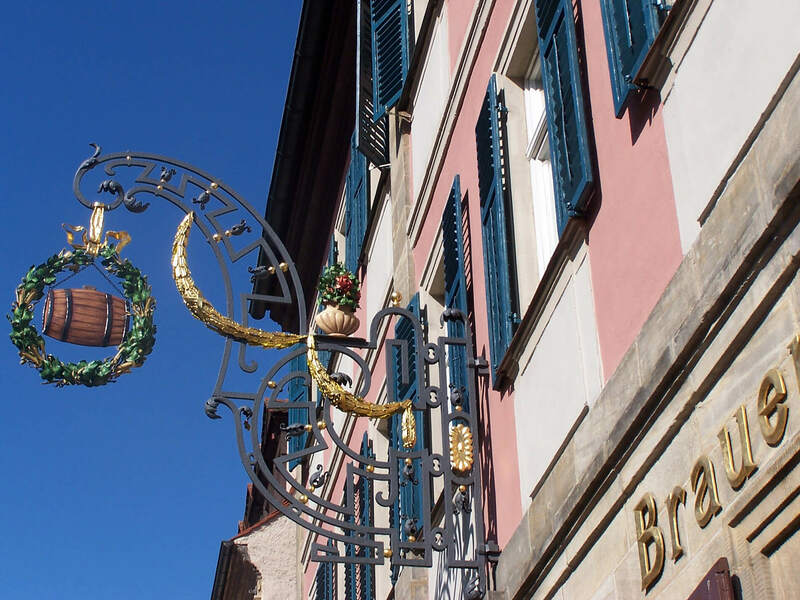 Then there are also the three traditional ‘Bs’: Burgen, Brauereien, Bratwürste – meaning castles, breweries and bratwurst. 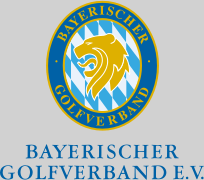 Upper Franconia also boasts twelve sporting ‘GCs’: the golf clubs at Bamberg, Hassberge, Hauptsmoorwald Bamberg, Bayreuth, Oberfranken, Hof, Kronach, Coburg Schloß Tambach, Fränkische Schweiz, Pottenstein Weidenloh, Fahrenbach and Stiftland. In this special section we present some of these clubs. It’s hard to say which alliteration you should consider first. In 1837, the poet Karl Leberecht rightly said: “Franconia is like a magical chest. New drawers continually appear with an endless supply of delightful, vibrant gems.” A castle here, a ruin there, medieval here, Baroque there, stalactite caves here, dolomite crags there, Richard Wagner or E.T.A. Hoffmann, savoury Krenfleisch (roast meat with horse radish) with a dumpling, or bratwurst with kraut and mustard. So where does one get started in these 7,000 square kilometres that account for nearly ten per cent of Bavaria? At the highest point in Upper Franconia, of course. The Schneeberg, at 1,051 metres in the Fichtel Mountains, provides visitors with a great overview of the region. When you feel your sense of awe waning, then it’s the perfect time to set off for the Luisenburg Rock Labyrinth in Wunsiedel. Here, 300 million year old granite rocks form Europe’s largest rock labyrinth. Wunsiedel was once home to the poet Jean Paul, who was born here in 1763 and was one of the first German authors able to make a living from his art. We follow him on his journey to Hof, where he moved to attend the Gymnasium (Academic High School) of the same name. Hof is one of four independent towns in the region, the others being the capital Bayreuth, Bamberg and Coburg. For many, Hof was famous as the town bordering on the GDR. That was in the past - today, it is known more for Hof’s Theresienpark, which was recognized in 2004 as one Germany’s most beautiful mountain nature reserves. It was as intricately designed as the grounds of Hof’s golf course. Playing 18 holes here is worth your while before continuing on to Bayreuth where Jean Paul – by then a renowned writer – moved in 1804. From the margravine Wilhelmine to the cultural metropolis, the poet encountered artistic flair everywhere he went - in the courtyard garden behind the town hall, for example. A statue of Jean Paul was later built in a prominent position in front of the town hall. Visitors to the Rollwenzelei museum will find original furnishings and discover the place where the poet found lyrical inspiration on more than one occasion. The former inn is situated on the way to the town limits in the direction of the margravial hermitage and Bayreuth’s golf course. A few swings of the club with a spectacular view of the town is a pastime enjoyed not only by locals, but also many of the musicians and performers at the town’s Bayreuth Festival, who come to unwind here above the rooftops of Bayreuth. Richard Wagner’s great granddaughter Eva Wagner-Pasquier, who served as director of the Festival from 2009 to 2015 together with half-sister Katharina Wagner, has also been spotted here with a golf bag. Then we’re back following the path of Jean Paul - this time it’s off to Coburg where he also lived for a short time. The Veste Coburg, one of Germany’s largest castles, captivates visitors to this town. From this location, the dukes of Saxe-Coburg governed the former residence town – with a spectacular view that stretches all the way to the Franconian Jura and boasting two famous Baroque structures: the Banz Abbey and the Basilica of the Fourteen Holy Helpers, Johann Balthasar Neumann’s masterpiece. A little putting at the nearby Coburg golf club nestled into the hills of the Coburg landscape, before our path takes us on to Bamberg, one of Jean Paul’s most important stops - where he got to know E.T.A. Hoffmann after all. Bamberg is an open-air museum, delightfully partitioned by the arms of the Regnitz river. The old town hall surrounded by water and the imposing cathedral with its four towers - the rich historical charm of the bishop’s town is hard to resist, but if you’re interested in giving your clubs a swing at one of the courses in the surrounding region, you’ll have to exercise some willpower. Should you decide to explore the limits of the surroundings to their fullest, you’ll find the heart of Upper Franconia to the east of the city: Franconian Switzerland with its large number of castles – Pottenstein, Egloffstein, Rabeneck and Waischenfeld – as well as even more breweries, upwards of a respectable 70 - awaits. In the midst of typical Dolomite rocks, where the Wiesent babbles cheerfully along, you will find the village of Tüchersfeld with its timber framed houses. Its striking, steep rock formation is a popular post card motif and a visit to the Franconian Switzerland Museum in the village is a must for anyone interested in this region. As elsewhere in Upper Franconia, you’re always just a few steps from the next attraction. Castle Gößweinstein, built in the 11th century, is located only four kilometres away and inspired many poets as well as Richard Wagner, composer of renowned musical works and operas, for whom the castle served as a model for the Gralsburg in the opera Parsifal.